This essay critically examines the role of the so-called ‘Shia Crescent’ in Middle Eastern politics by closely looking at the competition between Iran, the sole Shia state in the region, and other, Sunni-dominated regional hegemons, such as the GCC and Turkey. It does so by focusing on the period between the 1979 Islamic Revolution and the post-Arab Spring. Indeed, the history of the Middle East seems to be characterised by the religious rift between Shia and Sunni, a rift that looked like regaining momentum after the Arab Spring. This article argues that the notion of religious competition fails to fully grasp the true nature of the contraposition between Iran and the Shiite world and the other Sunni-dominated states. It is contended that such a competition, rather than being motivated by religious divisions, is related on the contrary to the quest for regional hegemony. In order to bring evidence to such a claim, the essay reviews the most crucial events in the recent history of the region by highlighting how religious divisions are exploited to justify strategic and geopolitical objectives. Islamist radical Sunni movements (especially Salafists but also those closer to the Muslim Brotherhood), have experienced a ‘reemergence’ in Middle East, in particular with the outbreak of the so called ‘Arab Spring’. Even in Lebanon, a country where such groups have never had a significant role within the consociative system, the rise of radicals groups has emerged, especially with the deterioration of the Syrian crisis and the consequent wave of refugees pouring in Lebanese territory. Such radical Sunni groups are altering the delicate Lebanese confessional equilibrium, questioning the historical role that the Sunni community has played in Lebanon. If, on the one hand, the Lebanese Sunni community suddenly came to face an unknown radicalism, on the other it has instrumentally used some radical Sunni groups to strengthen its basis in some of the country’s regions. The aim of this article is to read the evolution of the Sunni Lebanese community in the frame of the political evolution of Lebanon in recent years, with a special focus on the emergence of Sunni radical groups and on its consequences both on the domestic the and regional plane. This essay focuses on Egyptian salafism, viewed from the theoretical viewpoint of so-called post-Islamism. Paradoxically after the ousting of the President Muhammad Morsi by the military, salafi parties gained space, supporting the second transition and the amendments of the Constitution drafted by the Muslim Brotherhood. Salafisms is the carrier of a traditional interpretation of Islam which is at odd with several aspects of democracy and liberal-constitutionalism. But what does it mean, exactly, to be a salafi? And what are the possible outcomes that the salafi participation in politics could generate? After a brief description of the salafi nebula, this essay focuses on the political behaviour of two main salafi parties: Hizb al-Nur and Hizb al-Tahrir. The first one is the political apparatus of the historical Da‘wa Salafiyya, while the second one is the Egyptian wing of the transnational and pan-Islamic organization founded in Jerusalem in 1953. Both of these parties have acted strategically, participating in the political arena after decades of silent apolitical proselytism. This choice required the abandonment of certain extremist positions, incompatible with institutional politics. The thesis of this essay is that moderation could be more apparent than substantial, merely an instrument to partake of the benefits of democracy. After Mubarak’s National Democratic Party was dissolved in the spring of 2011, the Muslim Brotherhood became the main organized mass actor in the Egyptian political scene. The author argues that it was precisely this characteristic that rendered inevitable the clash between the Brotherhood and former regime elites. At the same time, right from the very first stage of the political transition, the Brotherhood has followed an overly compliant and moderate strategy with respect to incumbents, thus alienating the sympathies of those who called for more radical changes. Whether it did so because it believed in the need to accommodate previous elites, pursuing a gradualist approach, or simply for a desire for power, the final outcome does not change. The Brotherhood – weak and isolated – was first politically ‘burned’ and then harshly repressed after having exhausted its stabilizing role, similar to what had taken place in the 1952-54 ‘transitional’ period. Egypt’s tumultuous transition demonstrates how decades of authoritarianism and the effectiveness of the state’s coercive apparatus have created such a resilient power structure that could not be reformed without a strong and sustained pressure from below channelled through an organized structure leading to a revolutionary ‘break’ with the past. Following the uprising that led to the fall of the Ben Ali regime, the Islamist party Ennahda emerged as the dominant force on the Tunisian political scene. After decades of relentless repression at the hands of Ben ‘Ali, Ennahda swiftly began a process of institutionalization that led the party to become one of the protagonists of the Tunisian transition through its landslide victory in the 2011 elections. Nevertheless, Ennahda is not the only form of Political Islam active in Tunisia. Both as a reaction to the institutionalization of Ennahda and as a consequence of the liberalization of society, another form of Islamism gradually emerged: Salafism. This article examines the ideological and strategic evolution of the Salafist movement, emphasizing in particular its internal differences. This article analyses Libyan Islamist groups and their role in the new political context. The fall of Qaddafi opened new public spaces for Libya’s Islamist groups, even those inhabiting the extreme end of the spectrum, whose members had been in exile or imprisoned for years. In the first part the essay, the authors examine the role of Islam on Libyan national identity during colonialism and under Idris Senussi and Qaddafi’s regime. The article then moves to take into account the new beginning of the Islamic movements during the 2011 civil war, considering the presence of jihadist groups and their increasing influence in the political sphere in the two years following Qaddafi’s fall. Finally, it considers the reasons that led to the gradual political pre-eminence of Islamist forces in the political context and the reactions to their perceived growing strengths within the Libyan Congress at the expense of the more liberal political forces. Only minority salafi/jihadi groups have rejected the political and constitutional process. So far, the vast majority of the Islamist groups has been working with, rather than against, the State to win it over rather than to fight it. However, in the context of disorder, armed Islamist minorities were able to represent a major threat to Libyan democratic transition, preventing a peaceful start of the transition process. Matteo Renzi’s quest for leadership has had to cope with four major challenges. The first and easiest one was to render communication, for the left, competitive with the highly personalized style of Berlusconi and Grillo. It was a long overdue change for the Democrats’ old-styled elite. A second task has been that of winning over the party organization, a stronghold of oligarchical rule. This more a more complex task, as Renzi had to work his way from the outside, mainly relying on public opinion support through primary elections. In order to consolidate his leadership within the executive, the new premier also had to bring forward major institutional reforms as well as an ambitious program of bureaucratic turnover. For such a sweeping platform of encompassing changes, Renzi could not count on the backing of the economic establishment, or on his won a personal party – as had been the case with Silvio Berlusconi. His main strength has been in his forceful populist bipartisan appeal, as well as his determination to put his career at risk with bold and clear-cut choices. In spite of stormy anti-political tendencies, the emergence of a strong leadership on the left signifies the return of political skills as the main resource for governmental power. However, it may be too early to understand whether this is the beginning of a new era or just a short-lived parenthesis. 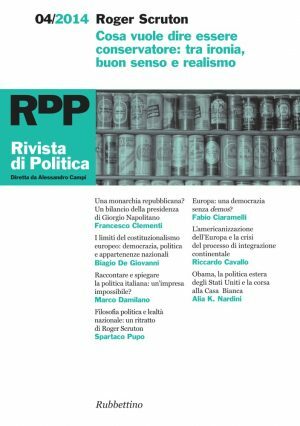 Matteo Renzi’s rise to the leadership of the Democratic Party and, afterwards, to the role of premier represents a break in the political and party leadership vision and practice of the Italian left. 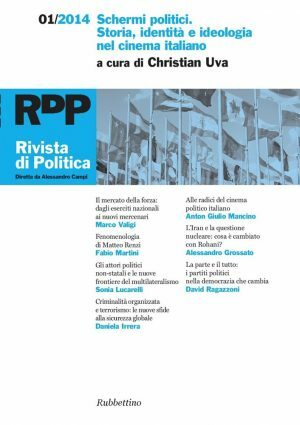 He has introduced in his political field a new model of leadership, closer, rather than to the leftist Italian tradition, to the one dominating many western presidentialised parties and democracies. Nonetheless, the way he has interpreted and built his leadership shows some differences from other western experiences. 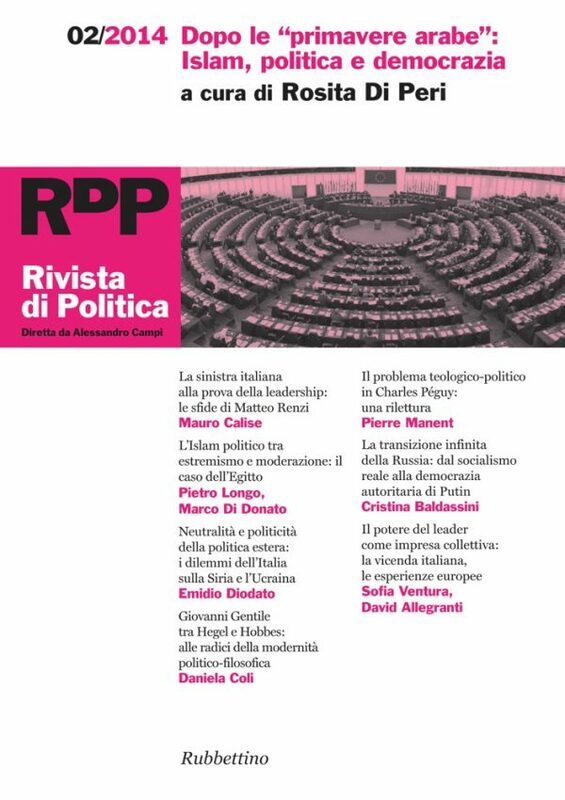 In this article, a particular aspect of Renzi’s leadership is analysed, namely the relationship between the leader and his inner circle. After an overview of the “leader-inner circle” issues assessed from a theoretical point of view and through some relevant western case studies (i.e. 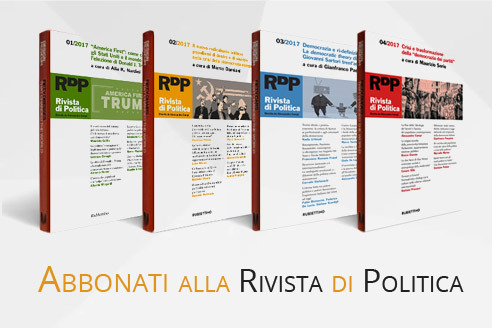 Tony Blair, Nicolas Sarkozy and Barack Obama), the authors present a detailed description of Renzi’s closest network. Finally, in order to highlight the idiosyncratic elements of Renzi’s leadership, they attempt to sketch a framework of the Renzi-team interaction, relating it to Renzi’s more general way of governing. Matteo Renzi’s entrance on the political stage has broken with the Italian centre-left tradition of aversion to political communication and political marketing, which were often seen as a legacy of Berlusconi’s politics. 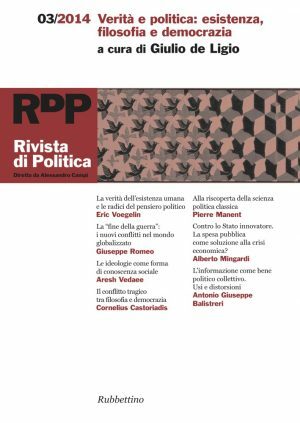 The article tries to illustrate the evolution of Renzi’s political discourse since he grabbed the spotlight up to today, highlighting the main features of his narratives and assessing, finally, what challenges his leadership might face in the near future. One century after his death at the beginning of the First World War, the French poet Charles Péguy (1873-1914) still deserves to be read and considered in the light of the thought his work conveyed and of the questions he raised and considered. This essay proposes an introduction to the main concerns of his life and work. In particular, it aims at presenting and discussing the arguments and strengths of Péguy’s critique of the modern world and his profound and instructive, though sometimes hazardous and contradictory, interpretation of the theological-political problem. In the light of such an introduction, the essay outlines and renders justice to Péguy’s eloquent and keen understanding both of human freedom and communion, that is, of the problem of the city. Twentieth-century Italian Idealism and Marxism are generally considered to be under the spell of Hegel’s influence. Yet, Giovanni Gentile contested Hegel’s dialectic and Hegel’s concept of modernity. Hegel located the core of modernity in the principle of “subjectivity”, contesting it because of its individualism and autonomy of action. Following a line of though grounded in the writings of Hobbes and Locke, Gentile criticized Hegel, considering the division between philosophy and religion to be the very core of modern philosophy. Thomas Hobbes’s political philosophy was also fundamental in Gentile’s analysis of Marx’s philosophy. It was following some of his ideas that Gentile concluded that Marx was Hegelian and Marxism a new Hegelian philosophy of history. This conclusion enchanted Antonio Gramsci, who misunderstood Gentile and considered his criticism to Marx to be essential for Marxism and for the Russian Revolution.